Thanks for coming to our wedding website! 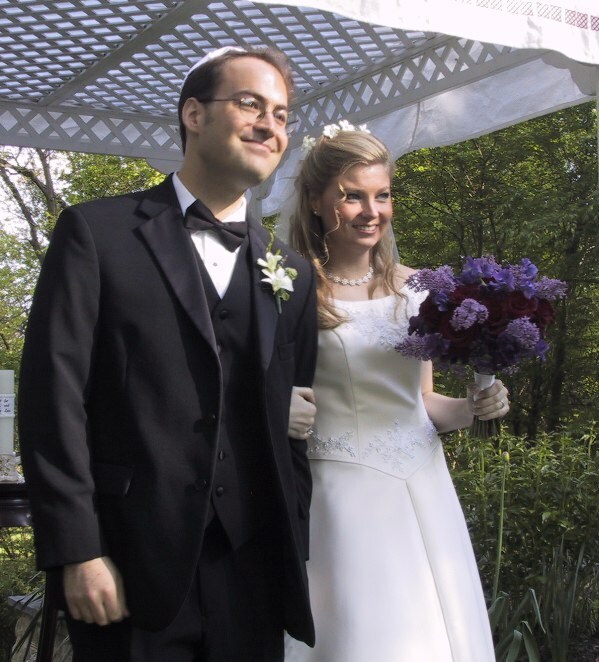 We developed this site in January 2003 to help our friends and family learn more about our wedding, which was held on May 4, 2003 at the Gramercy Mansion in Stevenson, Maryland. We've kept the website alive as an online keepsake, as well as a photo gallery of our wedding weekend. In the weeks and months leading up to the wedding, we used this website to post information about the wedding, including travel planning resources, information about the ceremony and reception location, activities in and around Baltimore, and other useful tidbits. The wedding basics page will provide you with all the essentials regarding the wedding, including information about the wedding party. Our location page describes the Gramercy Mansion, which hosted both the ceremony and the reception, and provides driving directions as well. The travel & hotels page gave our guests everything they needed to know about coming to Baltimore, including airport information making a reservation at one of our official hotels. Lastly, our contact us page is here so you can get in touch with either of us for any reason. So thanks for visiting our website -- and thanks for helping us celebrate our special day with us!